Welcome to the Wiltshire Community Web (WCW) tutorial. 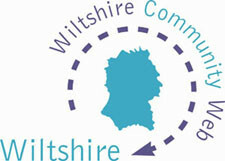 Although setting up a website on wiltshirecommunityweb.org.uk is intended to be as straightforward as possible, if you feel you want some extra help then take a look at this tutorial before you start. Simply click on the Tutorial link on the left and select the appropriate lesson to get started. Each lesson in the tutorial is an Adobe Acrobat file (PDF). If your computer cannot read these files, you can download a copy of Adobe Acrobat Reader from www.adobe.com. If you would like any further help, please contact me using the details below.